Customer Relationship Management, Field Service Management, Marketing Automation and Business Intelligence software. 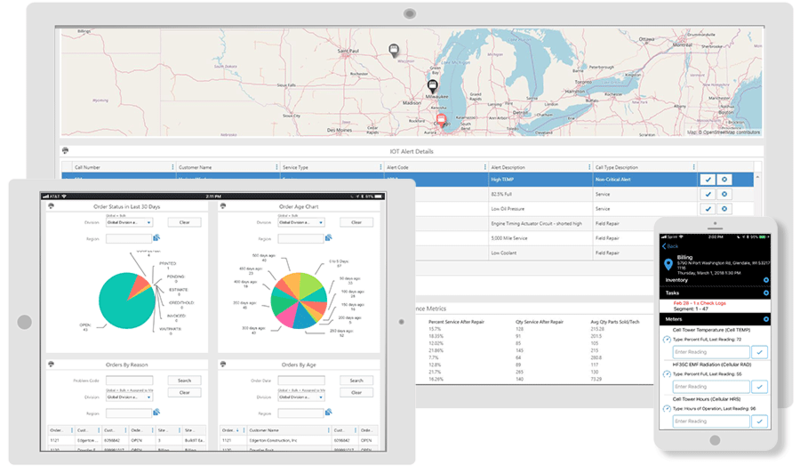 Syncsite has partnered with MSI to deliver its Service Pro field service management solution to customers who perform equipment or product installations, repair, planned or preventive maintenance, inspection and other field services. 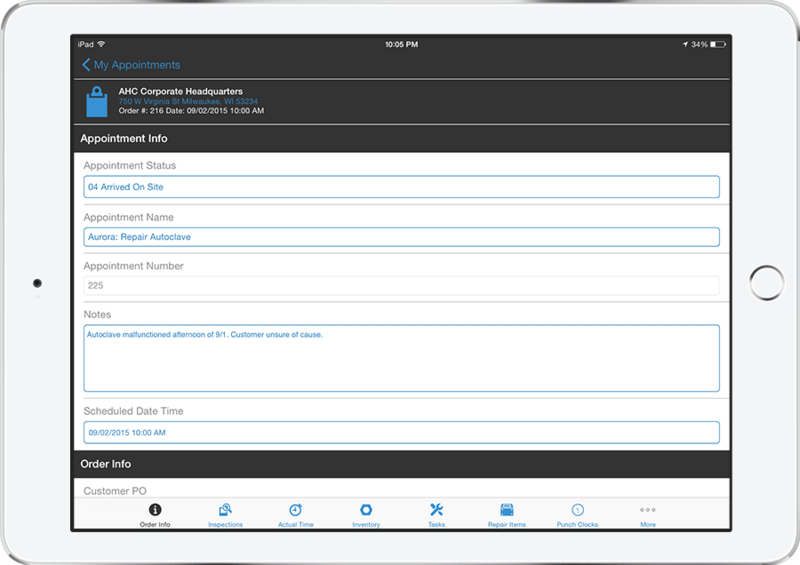 Service Pro provides time-saving automation tools that streamline service calls, scheduling and dispatching, quoting, work order management, service contracts, spare parts inventory, asset tracking, warranties, field forms such as inspections, and an easy-to-use mobile service app for field technicians, which works on iPhone, iPad, Android and Windows 10 phones and tablets. Manufacturers, distributors, contractors and other firms using Service Pro to manage service operations are able to respond to service requests more quickly, increase field resource utilization, improve service cash flow and communicate more effectively with customers. Service Pro by MSI is a single application for managing all service activities, from calls, warranties and scheduling to service contracts and parts. Empower your dispatchers and service technicians with the information they need to rapidly respond to customer service needs and be optimally prepared prior to the site visit. Service Pro facilitates the rapid flow of critical trouble-shooting data from the customer and about the equipment from the moment the call comes in, to the time the technician has completed the work, finished the inspection and captured the customer signature. Service Pro is most often used by manufacturers and distributors who service equipment, machinery, infrastructure or other products at customer sites. 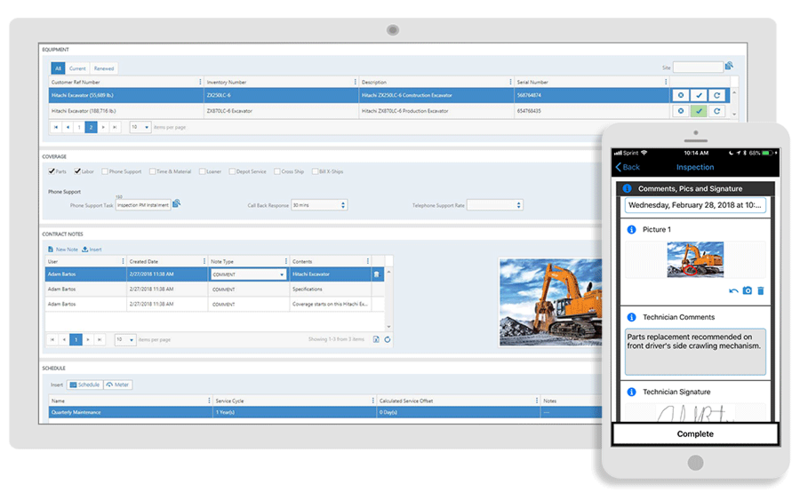 With its visual scheduling capability and connected mobile app, a call taker or dispatcher can easily find the closest qualified technician who is available for the work assignment within the ETA window called for by the service level agreement. Additionally, they have visibility to all other scheduled and unscheduled appointments in their region, to quickly identify opportunities to minimize travel time – performing a planned maintenance task after completing a nearby repair, for example. 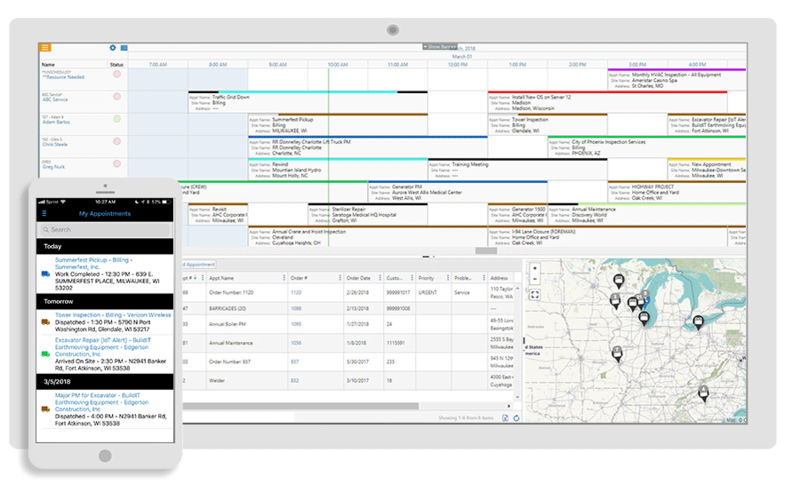 For those companies with advanced scheduling needs or very large technician teams, Service Pro Optimize can intelligently advise and automatically schedule work assignments based on the customer’s most important criteria. Service Pro manages not only technician labor time, but parts and inventory as well. 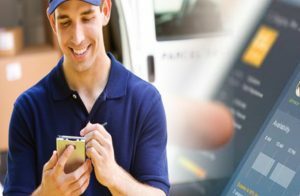 Able to work in unison with ERP systems as the master inventory, Service Pro makes it easy to monitor van inventory, make inventory transfers to service vans, as well as track ongoing parts consumption in the field with the Service Pro Mobile app. 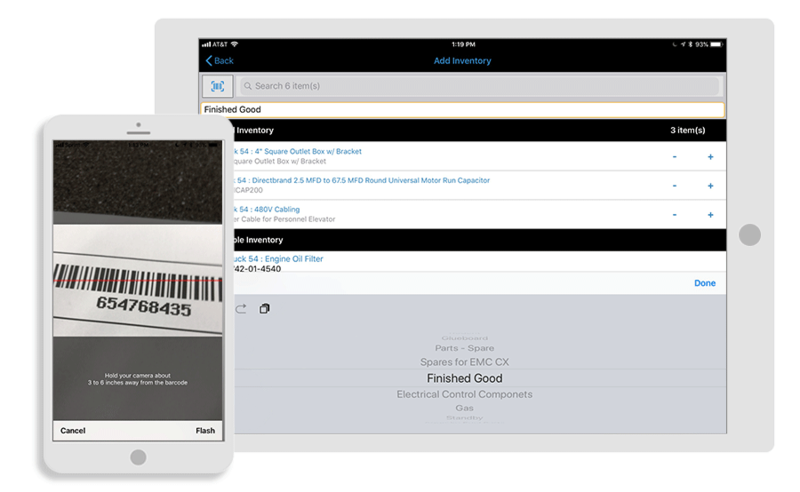 With efficiency and accuracy in mind, Service Pro Mobile lets technicians add parts to service work orders in multiple ways, including barcoding. Beyond recording parts used to complete the repair or maintenance work, Service Pro customers often utilize an embedded mobile form to capture leads and opportunities for additional parts sales. Service contracts, and the recurring preventive maintenance services that accompany them, are the most attractive means of providing revenue predictability for the service organization, and optimal equipment availability or uptime for their customer. Typically fraught with a great deal of complexity and repetitive manual work, Service Pro customers enjoy the benefit of nearly 20 years of service best practices built into Service Pro contracts and PM auto-scheduling features, which in the case of one customer, automatically creates 7,000 appointments per week with no manual intervention.